Gypsy Dynamite: The soul of Gypsy Dynamite, Filippo and Giulio explode onto stage with sizzling guitar, unique and fresh arrangements of traditional Gypsy swing, Italian and Spanish music and memorable ‘million sellers’… Gypsy Dynamite style! 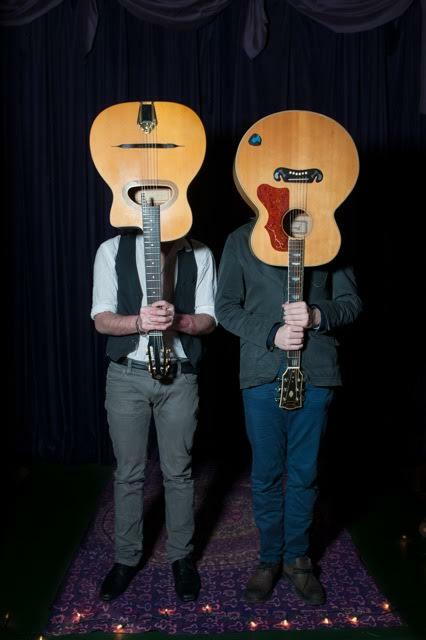 ​ The band was originally formed as a duo by Giulio Romano Malaisi and Filippo Dall’Asta in London in 2012. As well as performing regularly in the UK, they have toured in France, Italy, Malta and Russia, and played at many illustrious venues including the House of Parliament, Brasserie Zedel, Tower of London, Union Chapel, Novikov, the Century Club, Brasserie Toulouse Lautrec, Le QuecumBar, The Forge, Gaucho, Cahoots, The Hideaway and the Green Note.